Here are just a few examples of the feedback Mark gets through his coaching sessions. My name is Natasha Gobey and I am 20 years of age. I started playing at 11 years of age in 2002 and I won the National Golf Foundation girls under 14 age group champion of Great Britain in 2005. Although I was fairly successful I felt that my game was stagnating and after hearing good reports went to Mark in 2008.He immediately made a huge improvement to my technical game and he also encouraged and helped me to improve my fitness and mental attitude. Mark told me that although I had huge potential as a player the technical side of my swing was letting me down in real pressure situations and that these technical faults had to be addressed if I was to make significant improvement. Mark also realized that my existing clubs were no longer suitable for my game and fitted me with a new set of custom made clubs that were tailored to suit my new swing. As a result of the changes Mark made I added significant distance with all my clubs and gained the control I needed to improve. 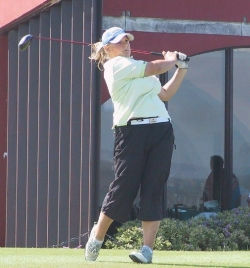 This was evidenced by gaining further international honours and winning the Glamorgan County Ladies Championship and being runner up in the Welsh Girls Championships in 2009 and again winning the Glamorgan County Ladies Championship in 2010. None of this would have been achieved had it not been for the help and support of Mark and I know that I know of other pupils who have benefited from Mark’s expertise and encouragement and have gone on to obtain successful careers in golf. 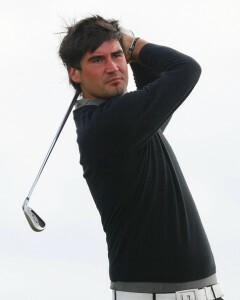 In my opinion Mark is without doubt one of the most enthusiastic golf professionals I have ever met. He genuinely wants to make you the golfer you have always wanted to be. When I went to him and expressed my dreams of playing on the PGA Tour in the near future he didn’t doubt or question my ability because he knows that anyone can achieve anything as long as they apply themselves to the task at hand and work very hard. His knowledge is incredible and he can cover all the bases required to achieve the golf of your dreams. He is able to help with your fitness for golf, the mental side of the game as well as teaching you all the aspects of the game. There are no guarantees in a lot of things but one thing I know is that Mark will always give 100% to each and every pupil he teaches. It is great to have Mark as part of my team that is helping me get to where I want to be and I know he always do his very best to help me get there. Whatever level your at, if your serious about getting better at golf then Mark is the man to take your game to the next level. Since starting work on my swing with Mark a few months ago. I have seen a great improvement in my ball striking, trajectory and shape, which has changed from a high fade to a more penetrating draw. Mark has a very professional and enthusiastic approach to tuition which lends itself to a positive approach to swing development. He has a sound understanding of modern swing techniques, embraces modern technology allowing him to provide superb constructive video analysis. I am also particularly impressed with the continuity from one lesson to another it’s as if he has a plan in mind tailored to the individual’s requirements. I would not hesitate to recommend his services to anyone looking to improve regardless of their current ability. Towards the end of the season in 2008, as a struggling golf professional, I decided to work with Mark in an attempt to improve my game after hearing positive feedback regarding his coaching. Mark was quick to spot the flaws in my game and even quicker in offering improvement suggestions. 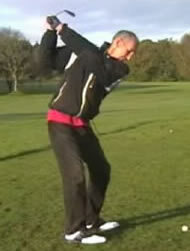 I had full confidence in his ability and together we changed and corrected the faults in my swing. Not only was Mark very informative he clearly had a great understanding of the game and its mechanics. Combined with his hi-tech equipment (which was very impressive) Mark has helped to improve my game and restore my self-belief and confidence enabling me to make money in local and national competitions. 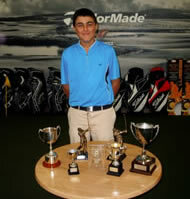 I have enjoyed playing Golf since I was 8 and put a lot of my recent success in Junior Comps and getting into the Welsh Squad down to the work I have done with Mark. Mark has been a big influence on my golfing development and we have worked hard over the winter months on the basic fundamentals which have proved vital to the progression, understanding and improvement of my swing. Mark makes each lesson interesting and easy to understand, and I see instance results. I look forward to working with Mark for many years to come, improving and enjoying my golf. I’ve known Mark since I started playing golf back in 2000 when he was the assistant pro at Clyne Golf Course. He has long been known as one of the top coaches in the region so when I felt the time was right to take my game to the next level and aim for single figures I contacted Mark. The net result was dropping pretty quickly from a 14 handicap to 6.5 (my lowest to date). 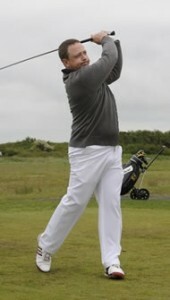 Mark used a combination of video analysis, swing theory and mechanics as well as plain old hands on coaching. His approach to teaching the swing is refreshing, always focusing on the positives and helping me map out my near and long term targets and goals. I’m someone who likes to know all about the mechanics and science of the golf wing and Mark was always happy to go into detail helping me better understand my swing and what I needed to do to improve. Anyone who knows Mark will agree that golf lessons with Mark are always fun, friendly and never taken too seriously. Since starting my coaching with Mark I’ve been lucky enough to enjoy some success on the course, winning some individual events, being part of a league winning team and recording not one but two aces ! So simply put, if you want to get better, give Mark a call.